Acromioclavicular Joint dislocations occur usually due to a force directed onto the adducted shoulder joint. This occurs such as when a cyclist falls side on, and impacts directly onto the shoulder. The clavicle remains in the normal position and the acromion is dislocated. The acromioclavicular joint is a synovial joint (like the knee) and has a special fibrocartilaginous disc that acts as a buffer within the joint. 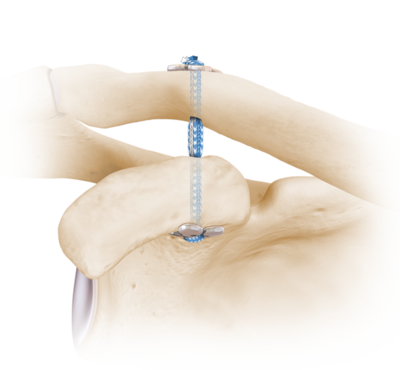 This joint is often damaged during an acute dislocation. The stabilising structures in the acromioclavicular complex are mainly the coracoclavicular ligaments which stop the clavicle from dislocating upwards, as well as the acromioclavicular ligaments which stop the clavicle from moving forwards and backwards. The coracoclavicular ligaments are made up of 2 main ligaments, the conoid and the trapezoid ligaments. 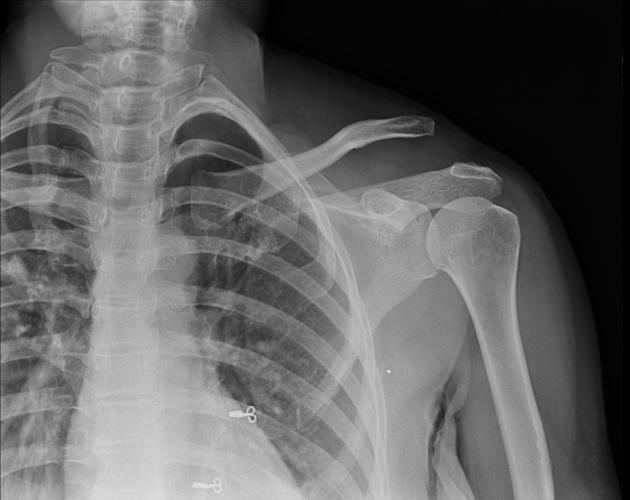 When the clavicle is dislocated badly, both of these ligaments are usually ruptured. Reconstruction of the ligaments are dependent on what structures have been damaged. There are different types of ACJ injuries and some do not require operative intervention. Your surgeon will look at X-rays and feel your shoulder to determine if yours requires fixing. When fixing ACJ injuries, various techniques can be used. They can be all arthroscopic or open. All arthroscopic techniques are minimally invasive, and minimise tissue damage, whist achieving a good reduction. Sometimes open approaches are necessary. For very bad injuries or injuries that happened a long time ago (chronic), then open techniques are required. In some cases, the end of the clavicle needs removal to stop long term degeneration in the joint. Dr Chien-Wen Liew performs both open and arthroscopic techniques, dependent on the injury, and individual anatomy of the patient.